Bomb explosion at 7.05 am. 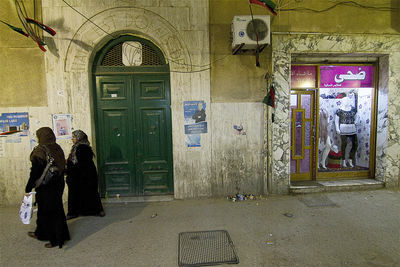 First attack of its kind on an Embassy in Tripoli. 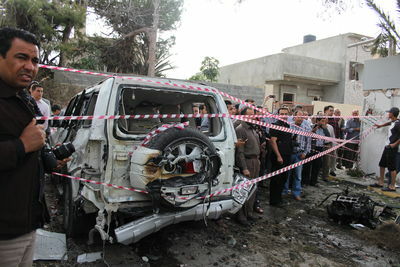 Security guards and people living near by have been hospitalised. 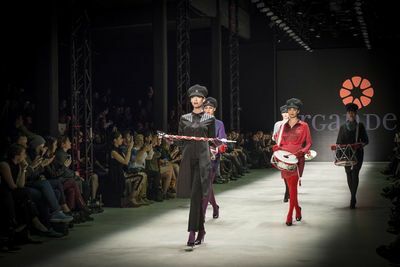 The Fall/Winter show at Argande, a more traditional line of Turkish clothing is shown at Istanbul Fashion Week in Istanbul Turkey. In Istanbul designers are opening a new market in the world of fashion catering to more conservative Islamic consumers. These styles feature bright colors and modern cuts while still maintaining modesty and Islamic values. ALA Magazine, which means the most beautiful of the beautiful in Turkish, launched in 2011 features monthly spreads showing off the colorful head-scarves and wedding dresses women can purchase. After a boom in the Turkish economy, many conservative consumers were left with a void in chic fashion. New companies are quickly filling the gap like designer Filiz Yetim, a wedding dress designer who's gowns retail at up to 4,000 USD. Chain stores like "Armine" are quickly spreading across the country, selling every day wear and evening gowns to female shoppers. While high fashion may feature colorful prints and patterns, the designers are still basing their inspiration on traditional dress for Muslim women. " 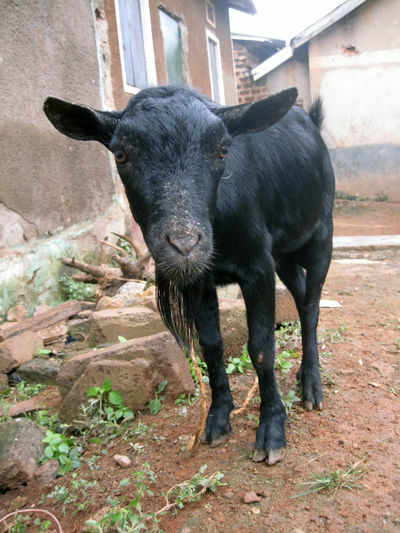 Upon winning 100 USD in the MC Challenge, Cyno MC used the money to buy a goat so that he could share his wealth. He wanted his friends to have a full stomach. In 2009, End of the Weak (EOW), a collaboration of MCs, graffiti artists, break dancers and DJs that spans 17 countries, reached Uganda. All chapters of EOW are involved with community outreach, workshops for youth and exude positive influence in their communities through Hip Hop culture. The MC Challenge is a competition in each country wherein the winners gather at the World Finals, which are held in a different country each year. The MC Challenge is held in the central, eastern, western and northern regions of Uganda so that many different languages are represented in the competition. Winners of the MC Challenge are provided studio time, video production and photo shoots as a way to share and promote their music. 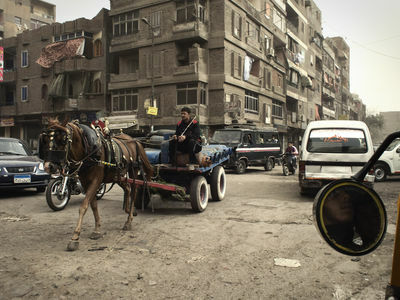 A horse-cart carrying gas tanks is seen in the middle of the traffic of Shobra El Kheima (Cairo, Egypt). It is easy to sport them nn the suburbs, as they come from outside the city to sell vegetables or looking for random jobs to earn money. 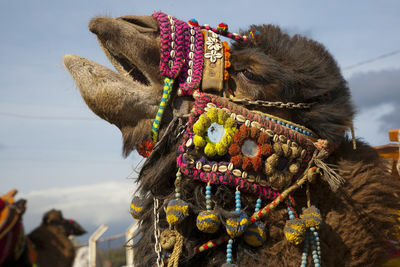 Pelitkoy, Turkey--Camels are decorated with handmade decorations made of felt, beads and shells. 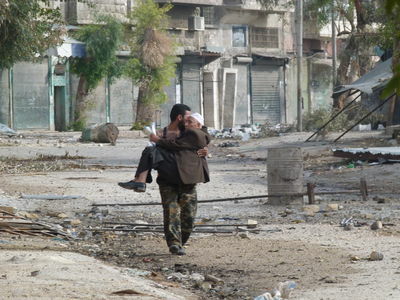 An FSA fighter carries an elderly man across a street to avoid government sniper fire next to the Karm el-Jabal frontline in Aleppo. The old man, reluctant to let the fighting affect his daily walks, is too slow to avoid the army's sniper, and often gets assistance from the rebels. 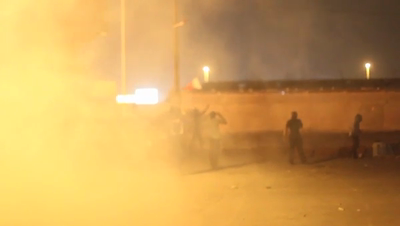 Bahraini protesters clash with riot police in Shiite villages surrounding the capital Manama. The crowd is yelling "peaceful protest"
Security forces throw what appears to be tear gas at protesters. The crowd is yelling "Allah Akbar (God is Great)"
The protesters are throwing rocks at security forces from behind a wooden barricade. The protesters throw what appears to be tear gas canisters back at the security forces. Migrant trying to get cover for the rain in the 'jungle'. The 'jungle' are the place where the migrants are sleeping at night. 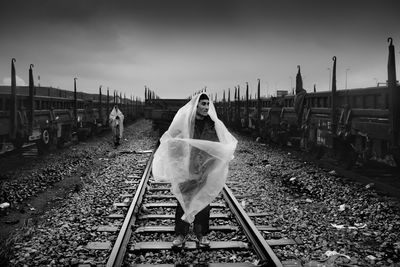 Since the French police cleared and then bulldozed the makeshift forest camp - known as the "Jungle" - near the northern city of Calais the migrants have been force to sleep on the street, under bridges and in the area of the trains. Post-Katrina reconstruction is still in progress throughout the Gulf Coast, with much of the city of New Orleans still in ruins. Set two and half years following the hurricane, this documentary focuses on those rebuilding this city, through interviews with some of the estimated 100,000 Latino migrant laborers who converged in this area after the storm. Despite terrible working conditions, massive fraud, a housing crisis, severe harassment by law enforcement, and very limited resources, New Orleans’ Latino community has mushroomed since the storm and is establishing an infrastructure proportional to its size. 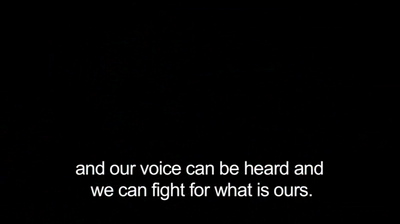 Take a look at how this community is organizing to defend itself against numerous injustices and the attempts to bridge the gap between themselves as new residents and the pre-Katrina population, all within the extremely unique and tragic context of post-Katrina New Orleans.